Great to both Inspire and Be Inspired! 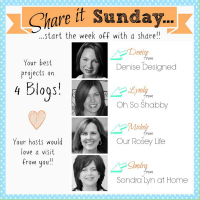 Bloggers can link up their favorites posts, projects, recipes, etc to inspire others. Its an opportunity for a blogger to share and promote their site. 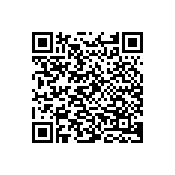 Be sure to add your Link Party Here so others can find you! Readers needing some inspiration can find some fabulous ideas from those that Link to Link Parties. The parties showcase the Best of the Best! So visit the Link Parties below!! 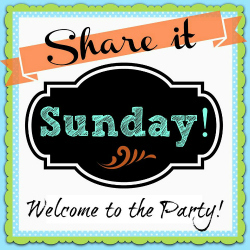 Be sure to make Share it Sunday your first Party each Week as it Launches on Saturday evenings! 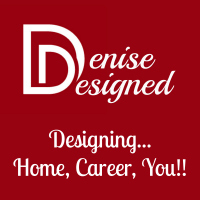 I have teamed up with 3 other Fabulous bloggers and am truly having fun seeing all the projects, engaging with all those that link up and sharing with you both my projects and the features each week. And visit My Link-Ups to view all those parties that I try to link up with Weekly. Now on to the Sharing of Link Parties! Link up yours under the appropriate day!